Your computer depends on software to run, whether it’s the operating system or the software solutions on the device itself. Viruses are created to make changes to this code, and the results can vary in scope and scale. They can go from being minor annoyances to major time wasters. Malware is a bit more dangerous in scope. It stands for “malicious software,” and its intentions are right in the name. 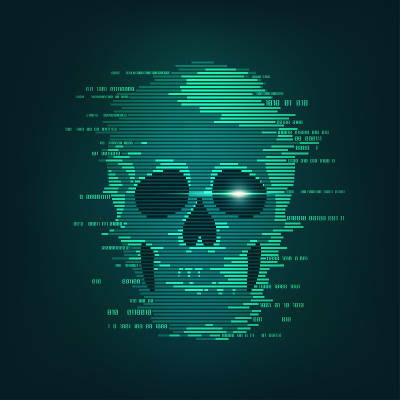 Hackers develop malware for various purposes, but for the most part, it’s with the intention of stealing, altering, or destroying data, depending on what nefarious plot the hacker is using it for. There are other more specialized types of malware that are designed for specific purposes. Ransomware, for instance, is designed to extort money from unsuspecting victims. It encrypts files located on the infected device, only decrypting them when a ransom has been paid to the hacker responsible. These kinds of threats are quite popular with hackers as they can be used to target a considerable number of victims in a short amount of time. Spyware is also a popular threat that allows hackers to steal information in a covert manner through various means, including backdoor infiltrations, keyloggers, and so much more. This is particularly dangerous to your business’ intellectual property. Cybersecurity threats are the most dangerous when they can be concealed. After all, you never hear in the news about how a brute-force attack exposed millions of health records or passwords to the world. No, the most devastating data breaches are typically those that occur over an extended period of time, shielded from the eyes of security professionals and network administrators. Spam and phishing attacks that deceive users into clicking on links or downloading suspicious files play a key role in allowing threats into a network. It’s more important than ever before to be cautious while online, as there is no telling who might try to trick you into exposing your network to threats. Thankfully, while it’s easier for threats to make their way through your defenses, the defenses put into place by businesses are much more substantial than in previous years. A Unified Threat Management (UTM) solution is easily the most comprehensive security tool on the market today, combining well-known methods of cybersecurity into an easy and accessible package. This includes a firewall, antivirus, spam blocker, and content filter to minimize the chances of threats manifesting on your network in the first place, as well as solutions to mitigate threats that do make it through your defenses. This can be further augmented through industry best practices that dictate how and when to share data. To learn more about how your organization can take advantage of security solutions, reach out to us at (800) 484-0195.